British rock drummer Bobby Irwin died this past Friday (March 8, 2015) in England after a long illness. The much loved and admired Irwin spent most of his life there except for a stint in the Eighties when he lived in San Antonio, Texas after marrying a local girl. His connection with the folks at Stiff would lead to his involvement with Nick Lowe with whom Irwin would play behind for most of his career. 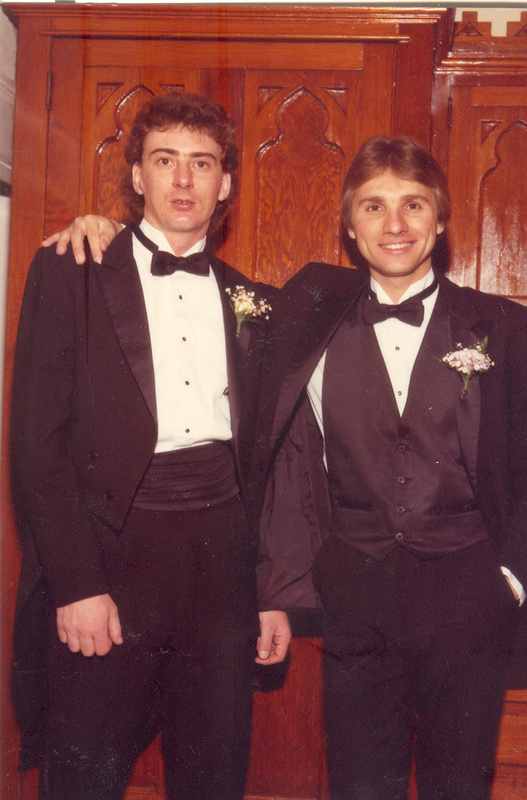 After the breakup of Rockpile, Irwin became Lowe’s number one choice as drummer in addition to the pair becoming close friends. 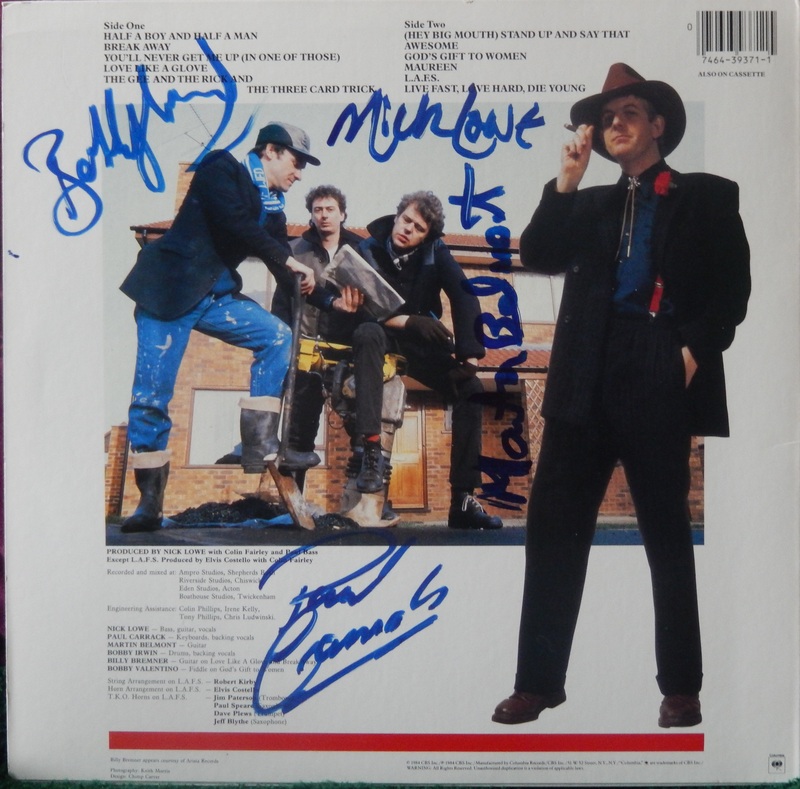 Their work together included the combo Noise to Go (later renamed The Cowboy Outfit) that also included vocalist and keyboardist Paul Carrack, guitarist Martin Belmont and for a short period bassist James Eller. During this time, Irwin also toured with Nick’s former wife Carlene Carter as a member of her CC-Riders. Here is a live clip of Noise to Go with Bobby at his best. 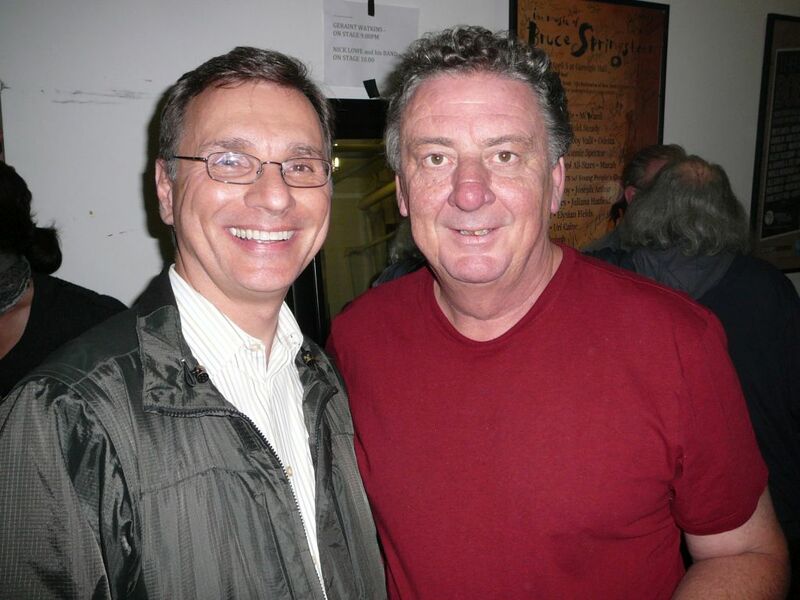 Staying close to these British musical friends, he also worked with them on records for Carrack, John Hiatt, Dave Edmunds and on the final album of British pop band The Records. 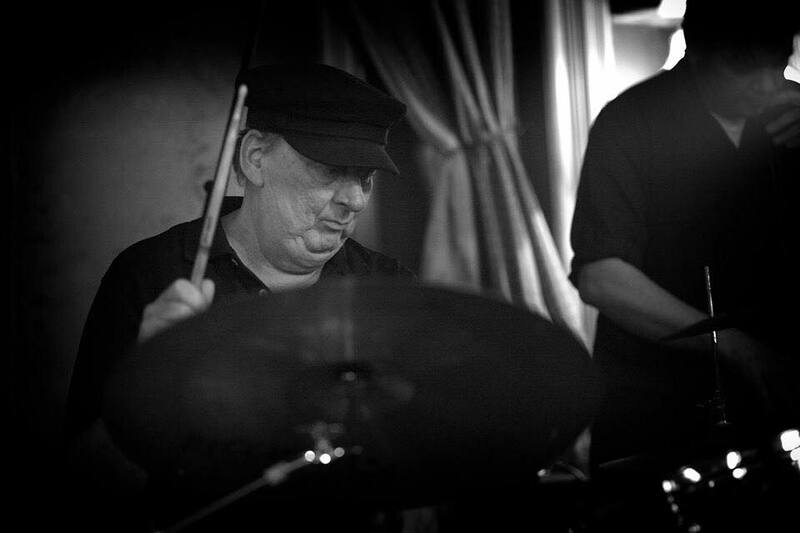 His outgoing personality, great sense of humor and versatile drumming, also found the well-connected Irwin playing on many other UK sessions (Tracy Ullman, Marilyn and many others) during his time there. During his Eightie’s tenure in Texas, Irwin filled in the gaps of his work with Lowe performing with several local artists, notably San Antonio’s late blues-guitarist Chris Holzhaus (joined one night on stage by a visiting Nick Lowe) and Austin-based songwriter Bill Carter (who wrote several hits for Stevie Ray Vaughn) and his band, the Blame. During this period of loading his drum kit in the trunk of a big old Lincoln Continental for the long drive from San Antonio to Austin, Irwin befriended many Austin musicians including the Fabulous Thunderbirds. Irwin had a deep love for traditional country music and was as probably as much at home with a Webb Pierce record as he was with anything else. While in San Antonio, he regretfully had to decline an offer to tour with George Strait which he would have loved. Due to undisclosed immigration troubles, Irwin took the name Robert Trehern for a short time period after his return to England. Lowe would later joke about this when introducing Irwin on stage after Bob reclaimed his original name. It was also during this time period that Nick had to share Irwin with another artist who also claimed him as his favorite drummer: Van Morrison, who Irwin would serve on several tours. More recently, Irwin’s work in the UK included production and back-office work for a label he put together with some friends called Bluefive Productions. 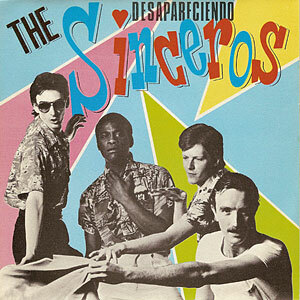 While the output was limited, it did include a live record by Dan Penn and Spooner Oldham (who had toured supporting Nick Lowe) and efforts from keyboardist Geraint Watkins with whom Irwin often worked with in his later years. On a personal note, I was honored to call Bob a friend during the years we both lived in San Antonio. We met in 1983 at the Driskill Hotel bar in Austin after Noise to Go opened for Tom Petty in Austin. We had many great times and adventures together, and my wife is forever grateful that he taught her how to make a proper pot of tea. We lost touch after he moved back to the UK, but we happily reunited a few years ago at some Nick Lowe shows I travelled to. Here are two photos of us some 30 years apart. All I can say is that the next Nick Lowe tour just won’t be the same without Bobby Irwin at the drums. Great piece Mike. Bob was the greatest drummer (for the kind of music I prefer) and a really funny man. Shall miss him. W.
Thanks for the excellent article. I’m so glad I drove from Nashville to Atlanta to see him play with Nick on their last tour. Thanks Tim. I made the drive to ATL from Nashville as well and that was the last time I saw Bob. This is a wonderful article in loving memory of my daddy. I was born in 1988 in San Antonio. I wonder if you ever met my mother, Tracie. I have unfortunately only spent time with my dad a handful of times, but will cherish this article along with the memories I have of him. He will be missed! Thank you for this piece. I met Bobby when he was producing some Bonnie Barnard songs in San Antonio. He asked me to engineer the recording. Although I’d been doing it a while I learned an incredible amount about the art of record making from him for which I’ll be forever indebted. He was a great drummer with a heart as big as Texas. Hilarious to be around. Thanks for teaching us that the record is all about the groove. I shall miss you dearly my friend. Godspeed my brother. Thanks Mike, nobody ever had the full story on the great man but your piece is close. Certainly more so than the Independent obit here in London. Thank you Neil. It’s so hard to comprehend how our lives have all gone by so fast. drums that night and we bored the other musicians with chat about vintage kits! Bob always went his own way. He was my drummer with the Hank Wangford Band for a couple of years in the UK. In Orkney on a Scottish tour Bob decided he’d had enough and went back to London leaving us to finish the tour without a drummer. Every cloud has a silver etc etc as they say and as Bobby was a hard act to follow (Van Morrison kept him in his band longer than any other sideman despite a Van moment sacking him then reinstating him). So I went on for a long time without a drummer and relished the ability to rock out without drums. Martin Belmont who was and still is my lead guitarist would argue that it was difficult to rock – or honkytonk – drummerless. Can’t believe the news. Here it is September and I just found out about the loss of Bobby, a man I have considered a friend, although I have not seen him for ages since I had the good fortune to hang out many times with him, Nick, and other wonderful people in Denver. I will never forget years later, as I approached a concert venue in Southern California to see Nick and his group, after I had contacted someone at the club about the possibility of getting a backstage pass, there was Bobby standing in front of the club before the show to greet me. He made me feel like I was his best friend ever. RIP Bobby. You are missed!